Free Spirit Publishing, 9781575423159, 24pp. 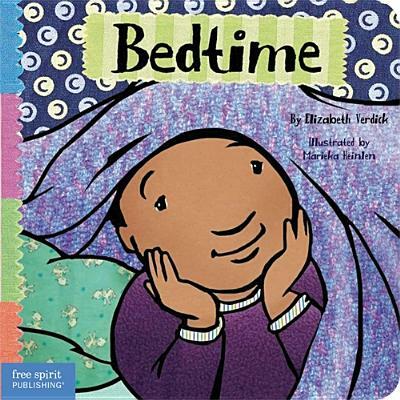 Ease little ones into the get-ready-for-bed routine with this warm and cozy bedtime book. Aided by Mom and Dad, a sister and brother enjoy a little snack, relaxing baths, time for brushing teeth, stories, lullabies, back rubs, and hugs. Cheerful, soft illustrations and reassuring text set a tone that helps toddlers feel good about settling down to sleep. (As the narrator explains, “I do my best growing when I’m sleeping.”) In the morning, the children will yawn, stretch, and be a little bit bigger, a little bit stronger, and a little bit smarter—all because of a good night’s sleep. Includes tips for parents and caregivers.